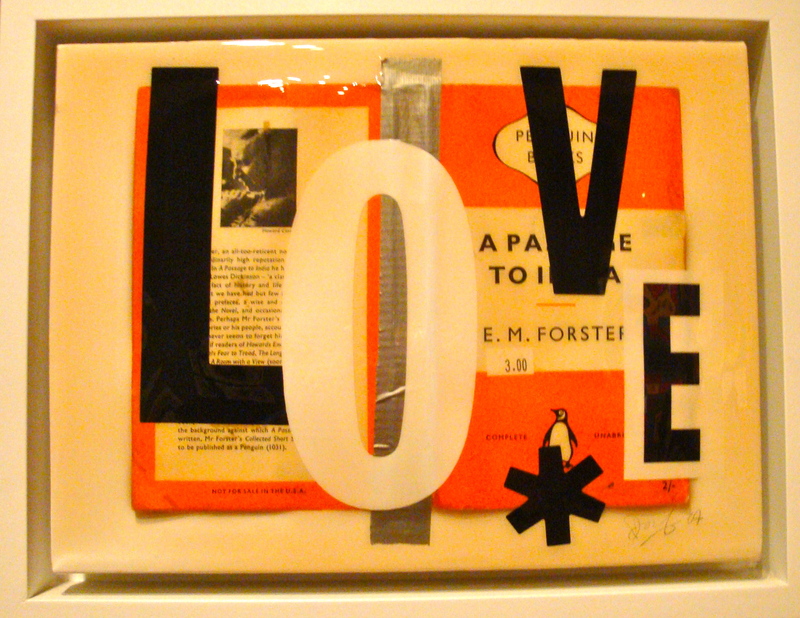 ‘The collages forming Coupland’s Penguins series are centered around the Penguin publishing house’s familiar orange and black paper backs. 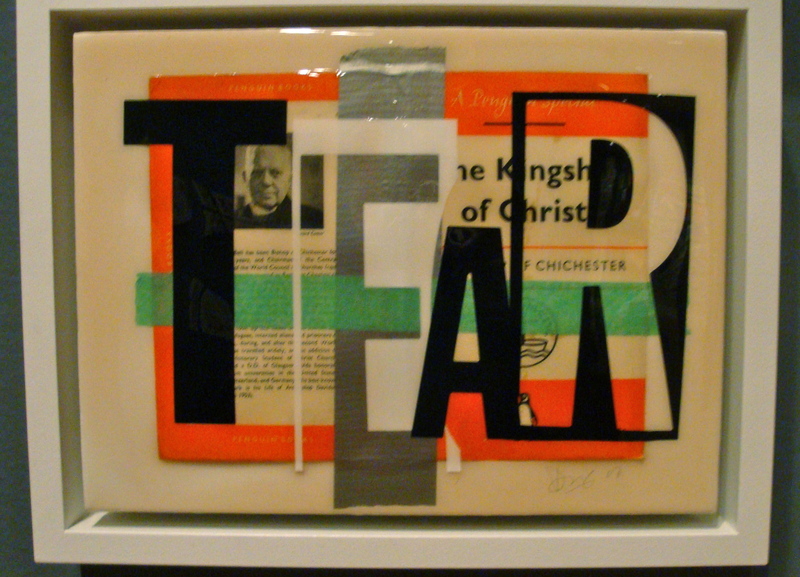 Over the covers of these iconic cultural tomes Coupland has applied vinyl texts. 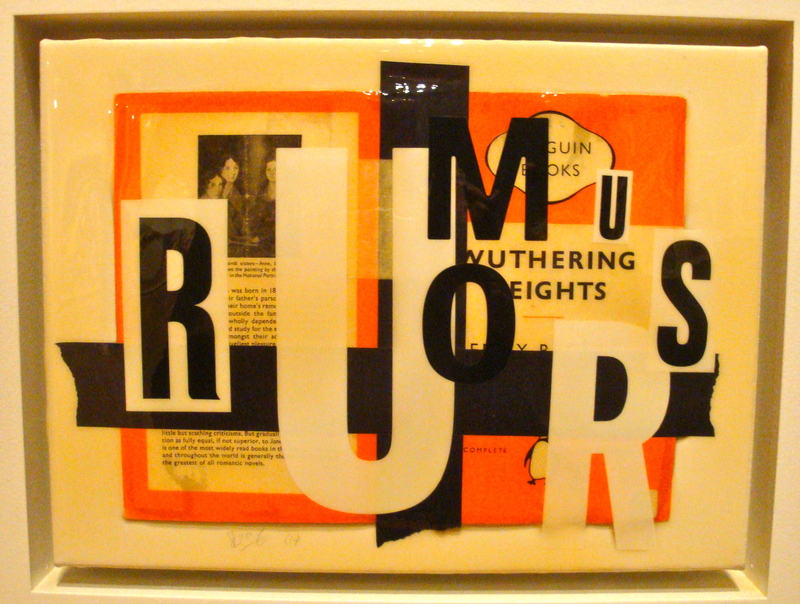 Some of these, read across several splayed paperbacks, form short phrases such as “Love Will Tear Us Apart” a song by British post-punk band, Joy Division or “Blasphemous Rumours” the title of a Depeche Mode song. These phrases layer additional cultural references to the books beneath them. In my photos I have edited the sequences for brevity. I admit I haven’t read all of the novels referenced. I know there are those amongst you that have. I believe the vinyl overlays probably connect to the underlying theme of each novel. Am I correct in my assumption? I nostalgically connect with the distinctive design of the Penguin covers, remembering them from my early years of reading. I think I understand some of the textual relevance of the overlays. 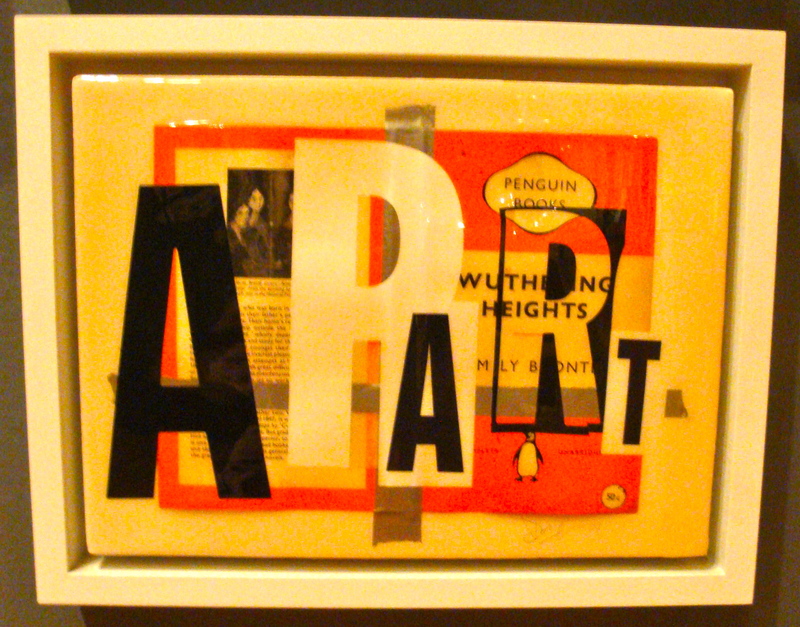 I enjoy the formal qualities of the juxtapositions of Coupland’s text over the Penguin covers, the blocking off and letting through, the casual use of duct and painter’s tape. How do these collages work for you? What memories are evoked for you by these Penguin covers? Please see my first post in this series for full explanation of all posts. Also see my first ‘Slogans’ post to understand #8. Credits: thank you to Douglas Coupland and the Vancouver Art Gallery for images and wall descriptions. Great comment Sam and as always you challenge my stumbling grey matter to be still and think. It makes infinite sense that you would have no sentimental feelings about a book cover design from before you were born (unless you were a librarian or second hand book seller). 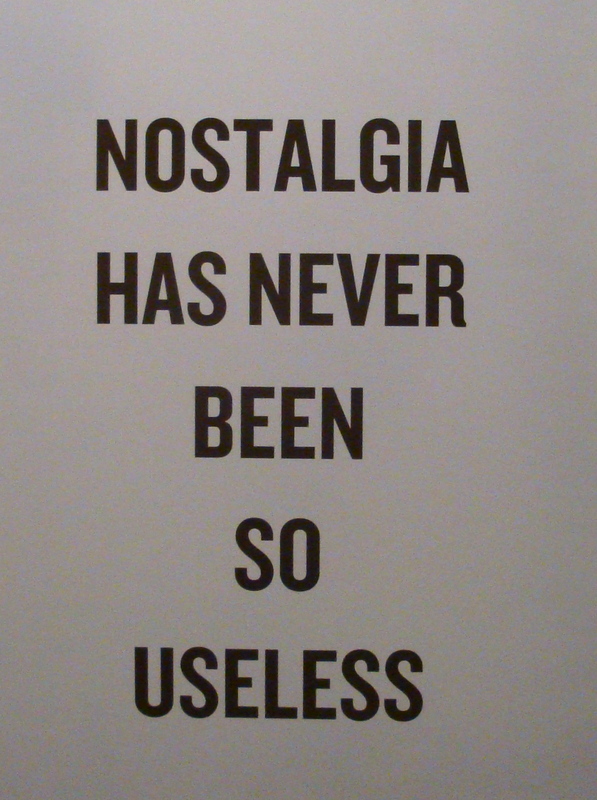 The Slogan, hmm…what is ‘Nostalgia’ anyway? a wistful affection for the past, typically for a period or place with happy personal associations (Dictionary). I think this is a very human emotion and something many of us experience. ‘Useless’? Reading it on the surface I might counter with the question, can we apply the terms useful and useless to emotions, feelings, art? You also asked this. Looking deeper I think your perception of irony is probably on the nail. Read in the spirit of all the other Slogans I feel the artist is saying that we are now so caught in the ‘web’ of the new reality that even nostalgia has lost its meaning. Remember his Slogan: “I no longer remember my pre-internet brain”? Personally I disagree with, at least, the surface reading. Nostalgia has always been a vast, necessary (and useful?) element in novels and poetry. An example you know well is ‘A Child’s Christmas in Wales’ by Dylan Thomas. This could never have been written without deep nostalgia and you can never tell me that you don’t feel deep nostalgia when you hear it read. Good post! I like the new look of your blog. Yet another excellent insight into the work of Coupland John. 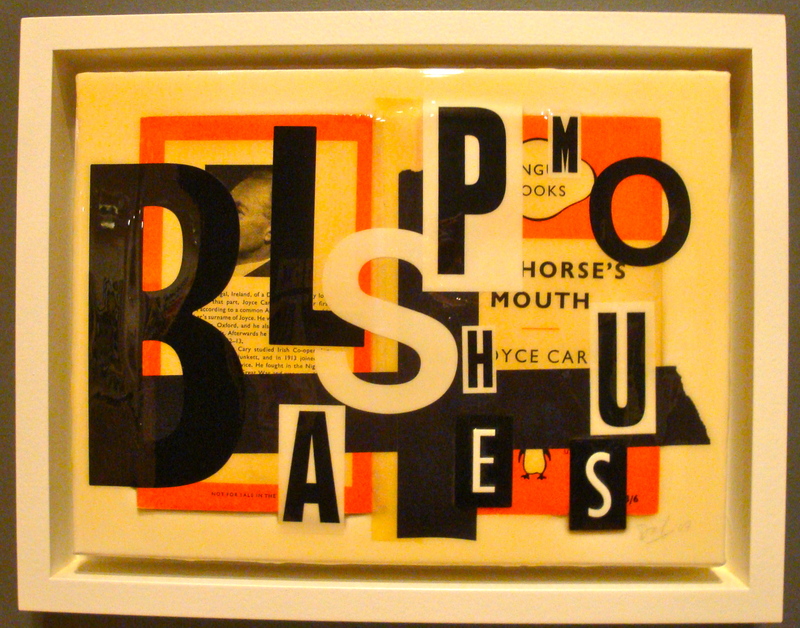 Here the way he develops his slogan to encompass classic literary works and distill their essence to a word or few is very powerful…….particularly using the original Penguin Classic covers as grounds for the artwork. The covers are so embedded in our culture now that I even notice you can even buy mugs with their designs on them. Cultural Icons! Thank you for your perceptive comment Robert. I had no idea that the covers had made it onto mugs…amazing but inevitable I suppose…cultural icons!!! I like the sequence aspect & I imagine the whole series being bought by a library for their reading room that has eggplant colored walls or a combo bookstore/cafe’ should buy it for their dusty blue green walls w contrasting antique yellow/red & rust furnature.